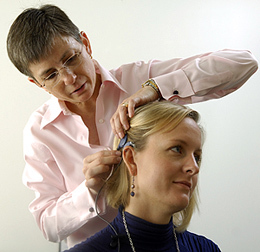 We interviewed audiologist Sara Morton M.S. about her work. 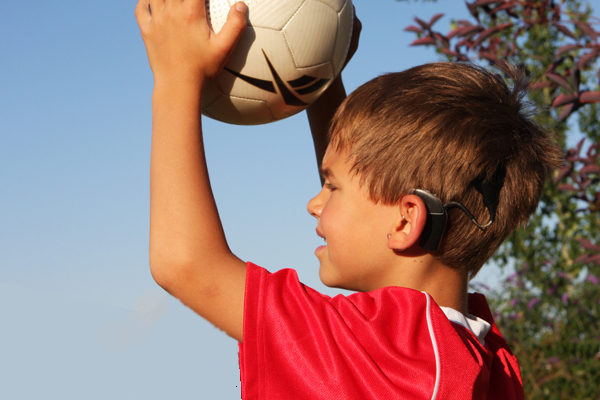 Why did you go into working with cochlear implants? It must be very gratifying. I started in cochlear implants by accident. When I graduated, there were very few clinical fellow positions. I think I sent my resume to every speech and hearing center from Albany to Manhattan and got one call for an interview at the Manhattan Eye, Ear and Throat Hospital Cochlear Implant Center. I went to the interview and had an offer by the time I got home. I spent 1 ½ years there seeing only cochlear implant patients. It is a very gratifying job. I tell people that it is a very emotional job. When you help someone hear for the first time in years, or for the first time ever, it is a high that cannot be matched by much. When an implant fails, that is one of the hardest conversations to have. The upside is that there is almost always a solution to get that patient hearing again. If there is one thing you want your patients to know about activation, what would that be? There is one thing. I tell my patients this one thing every time I see them up until the activation day. The sound will not be what you expect. It will likely be bad. It may be bad enough that you have second thoughts about why you had this surgery. HOWEVER, after a week, you’ll see noticeable improvement, and after a month, you won’t be able to live without it. The CI patient gets excited and nervous at activation. Do you get nervous and excited also? Yes! Dr. Kemper and I are always excited about initial activation. Dr. Kemper almost always comes in to the activation visit to see patients in their first minutes of hearing. It is an overwhelmingly positive experience and it can get emotional… I always have a box of tissues close by! Do you have a most memorable activation you think about? You know, there are always moments that stand out. Particularly emotional activations, kids’ reactions, those where you know that the restoration of hearing will give person’s life back to them… it’s all good. Do you get a many referrals from hearing aid clinics to do CI evaluations, or is it mostly from MD’s? I think the majority of our referrals come from MD’s and currently implanted patients telling their friends with hearing impairment to come to us. We also get a fair number of people in from groups like HLAA and various CI support groups. We also get some kiddos from early childhood intervention programs. What sort of relationship do you have with the various CI companies? Are you satisfied with the customer service on your end? In general, I feel that I have good relationships with all the CI companies. The clinical specialists are all knowledgeable and available to help over the phone or in the clinic. The customer service representatives are very helpful and are usually quick to provide me with equipment, resources, and answers. Are the surgeons as interested in the CI results as you are? Do you fill them in on how the patient is doing from time to time? Dr. Kemper is very interested in how the CI patients are doing. He loves to hear about progress and milestones, though I probably don’t give him enough of that type of news. He always says that if he could see one or two implant patients a day, and witness their successes, he’d never have a bad day. We communicate about any issues that patients may be having, as well. He is very involved. What kind of ongoing training do you have to do in order to keep your license? Audiologists are required to complete 10 continuing education hours per year, and complete an ethics exam every 2 years. What advice would you give to a new audiologist considering going into the field of cochlear implants? Do it! Take as many training courses as you can. Observe in as many clinics as you can. 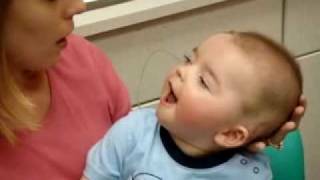 A strong knowledge base on normal speech/language development is great. Strength in aural (re)habilitation is important. Skills in counseling and an abundance of patience are absolutely required. J This is probably the most rewarding and the most heartbreaking work you’ll ever do. Be prepared to become emotionally involved in your patient’s progress. I don’t know any other audiologists who are hugged as much! It’s really wonderful. This entry was posted in Blog and tagged audiologist by CochlearImplantHELP. Bookmark the permalink.